Armin van Buuren has just been crowned the world’s No.1 DJ in the DJ Mag Top 100 DJs Poll Awards 2012 powered by Trackitdown.net. 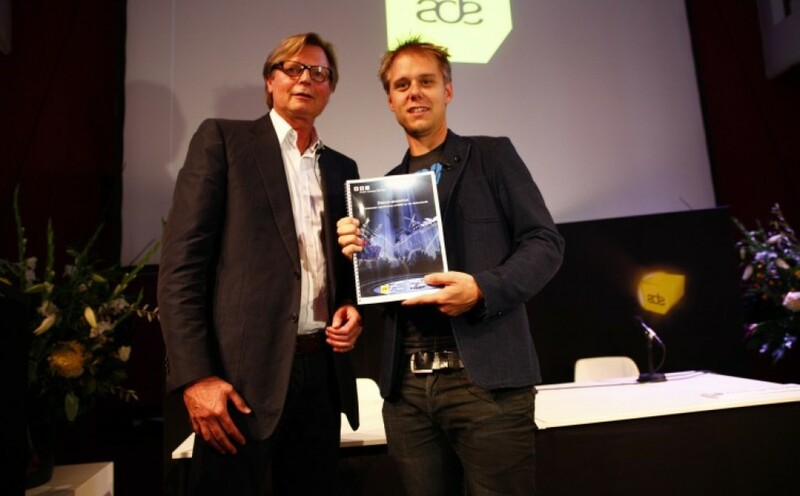 Armin was given the prestigious award at the Dutch edition of the Top 100 DJs Poll Awards event at Amsterdam’s Convention Factory, held for the second time during the Amsterdam Dance Event. This is the fifth, recordbreaking win for the Dutchman, who regained the topspot from last year’s winner, David Guetta. The Top 100 DJs Poll powered by Trackitdown is the biggest music poll of its kind in the world with votes coming from over 170 countries. Awards were also announced for the highest placed DJ in each genre; the highest climber, Porter Robinson; and the highest new entry, Nicky Romero. Danny Tenaglia was entered into the inaugural Hall Of Fame. Last year’s highest new entry, and this year’s highest placed dubstep DJ, Skrillex, has made it to No.10. The Netherlands are still widely represented, with 5 Dutch DJs in the top 10, and 22 in the full top 100! The DJ Mag Top 100 DJs Poll powered by Trackitdown began in 1993 as an in-house list put together by the staff in the DJ Mag office. After becoming a public vote in 1997, Carl Cox, Paul Oakenfold, Sasha, John Digweed, Tiësto, Paul Van Dyk, Armin van Buuren and David Guetta have each been voted No.1, with Guetta telling DJ Mag last year that scooping the Top 100 DJs crown meant more to him than scoring a No.1 hit record in America.